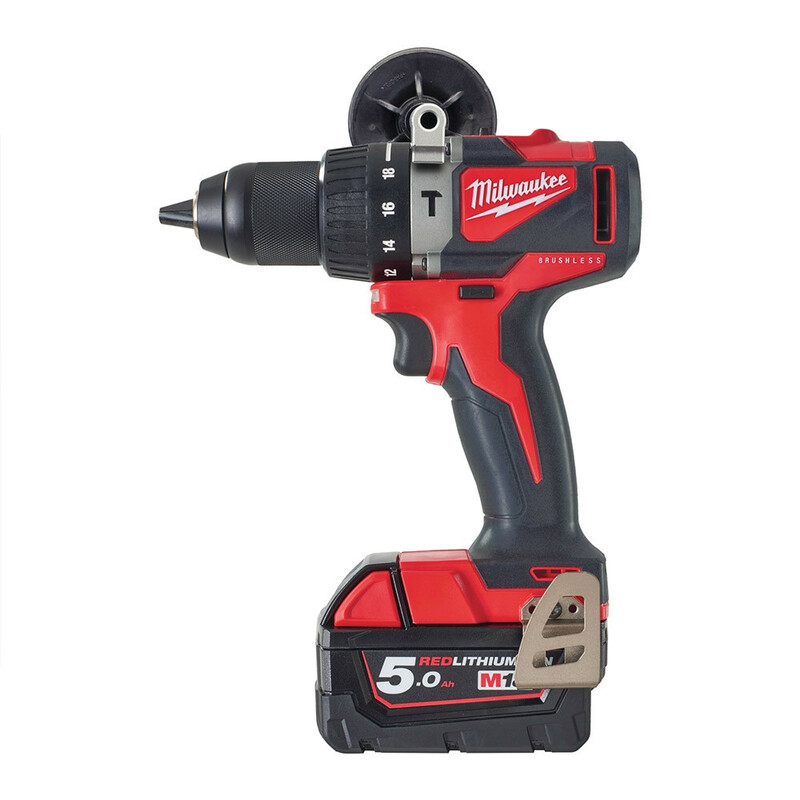 https://www.sgs-engineering.com/m18blpd2-502x-percussion-drill-batteries-charger?___store=sgs_en 7904 Milwaukee M18BLPD2-502X M18 Compact Brushless Percussion Drill Bundle with Free Battery https://www.sgs-engineering.com/media/catalog/product/m/1/m18blpd2-502x.jpg 220.99 220.9900 GBP InStock /Power Tools/Milwaukee/Percussion Hammer Drills The Milwaukee M18BLPD2 percussion drill comes complete with x2 5.0Ah batteries, case and charger. 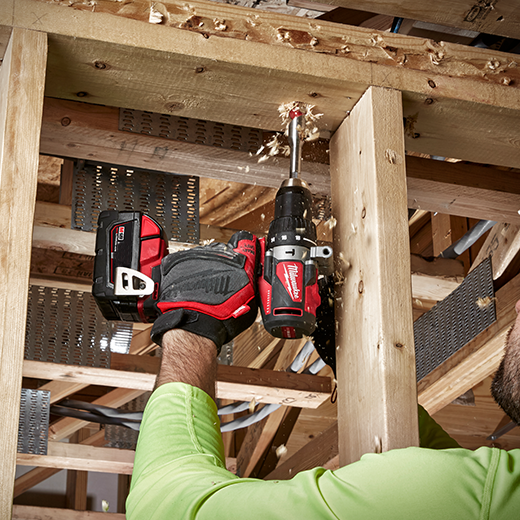 The Milwaukee M18BLPD2 percussion drill comes complete with x2 5.0Ah batteries, case and charger. 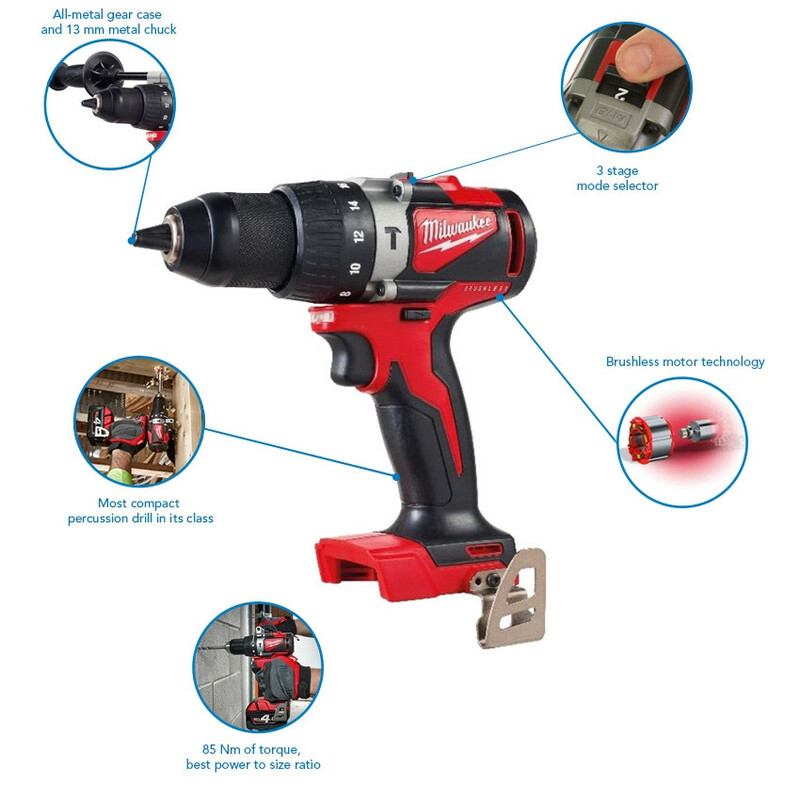 The drill delivers 85Nm of torque and has a an optimised speed for faster drilling & fastening (0 - 550/ 0 - 1800 rpm). The drill is the most compatible drill in its class measuring only 180mm in length. The drill has an all-metal gear case and 13 mm metal chuck for quick bit changes and bit retention. FREE Additional Battery! 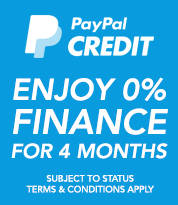 Now with this bundle you will receive second battery for free! 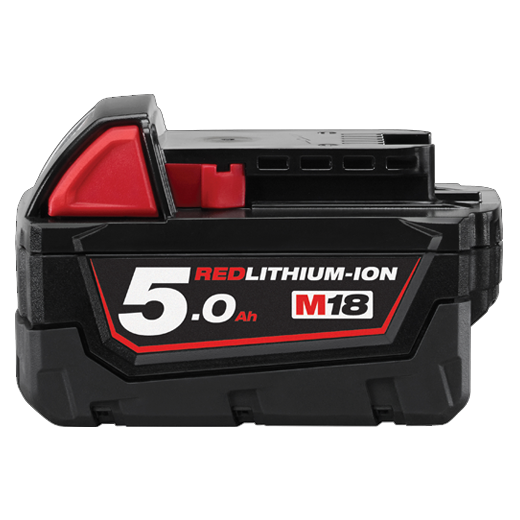 The Milwaukee 5.0Ah Red Lithium-Ion Batteries have REDLITHIUM-ION™ sophisticated electronics (REDLINK™ Intelligence) and overload protection which stops the user from causing damage to their cordless power tools. 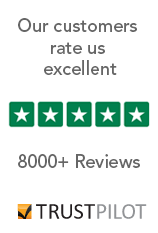 The batteries also feature a temperature management system which keeps the battery at the ideal temperature alongside individual cell monitoring which helps to provide maximum battery life whilst also preventing cell damage. The remaining charge of the battery can be seen on the fuel gauge. The M12-18C charger is ideal for charging your Milwaukee batteries from M12, M14 and M18 quickly. The charger can charge 2.0Ah, 4.0Ah, 5.0ah, 6.0Ah and 9.0Ah battery pack and can charge M18 and M12 at the same time. Most compact percussion drill in its class, measuring only 180 mm in length. 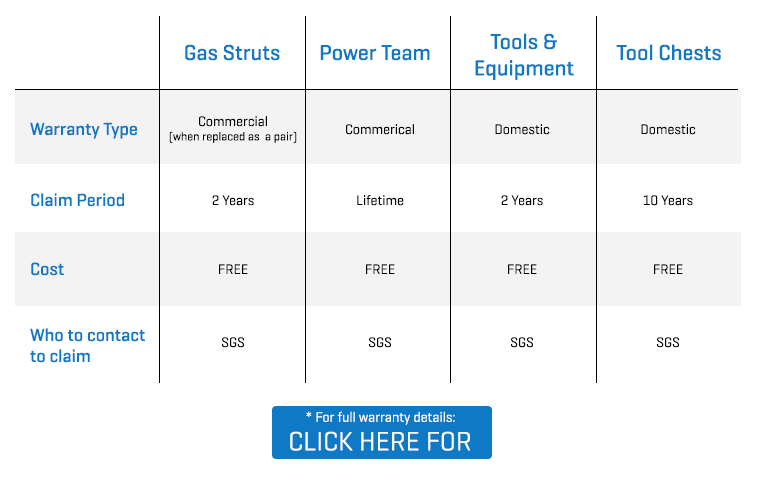 Brushless motor up to 50% more efficient and up to 2x longer life. 85 Nm of torque, best power to size ratio. Optimised speed for faster drilling & fastening (0 - 550/ 0 - 1800 rpm). 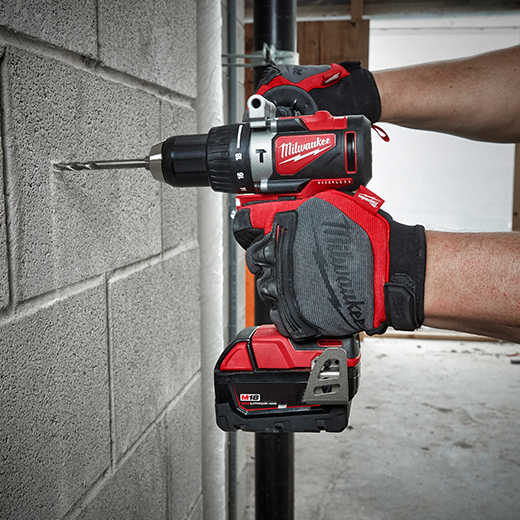 The Milwaukee M18BLPD2 percussion drill comes complete with x2 5.0Ah batteries, case and charger. 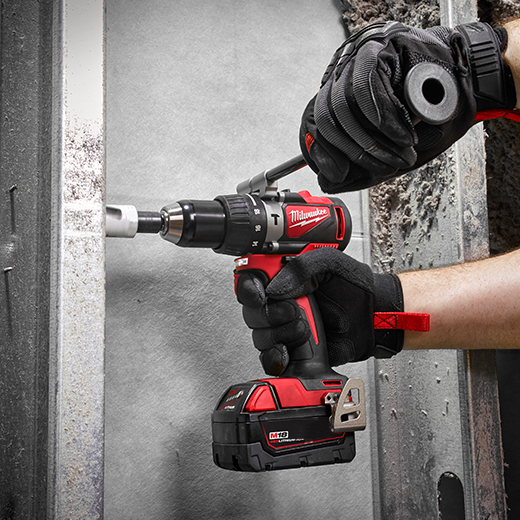 The drill delivers 85Nm of torque and has a an optimised speed for faster drilling & fastening (0 - 550/ 0 - 1800 rpm). The drill is the most compatible drill in its class measuring only 180mm in length. The drill has an all-metal gear case and 13 mm metal chuck for quick bit changes and bit retention.